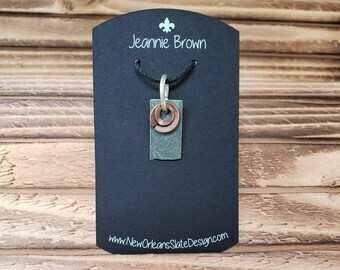 Announcement New Orleans Slate Design specializes in creating art, jewelry and home decor using recycled roofing slates. 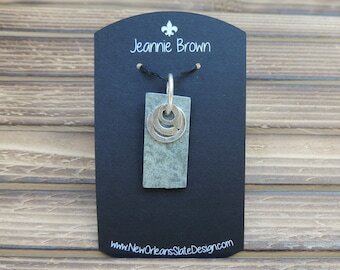 New Orleans Slate Design specializes in creating art, jewelry and home decor using recycled roofing slates. Absolutely love my custom made pair of coasters! After a good scrubbing and rinse. Drilling the holes for the ornament string. 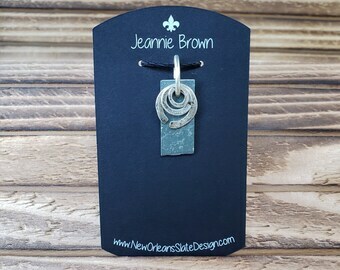 Painting Fleur De Lis Ornaments! Fresh from picking! Slates off a old home in New Orleans, La. 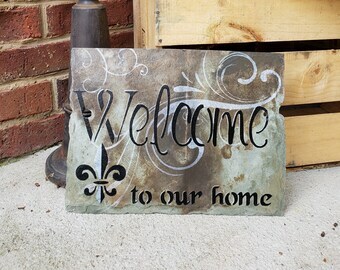 Welcome and thank you for visiting my shop. 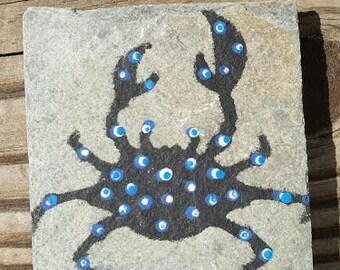 Here you will find one of a kind Recycled Roofing Slate Art. No refunds on custom orders. Buyer pays return and any additional shipping cost. Item's must be paid in full when purchased. Please contact me if you have combined shipping questions. 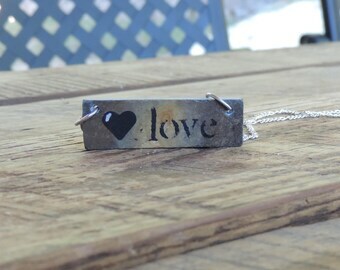 Large and medium slates are shipped USPS 2-3 day Priority. Ornaments and Magnets are shipped USPS First Class. 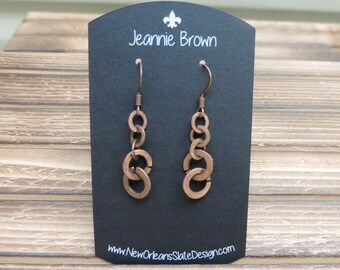 Custom items can take 1- 2 weeks to complete and ship but weather does play into this time and may delay the shipping. Most of the time it'll ship earlier. Although I package the items as well as I can, sometimes these items still get damaged. Please check your purchase as soon as you can when you receive it and if it is damaged, keep the packaging and take pictures then contact both your local post master and me to let me know and I will work together with you to get it right. 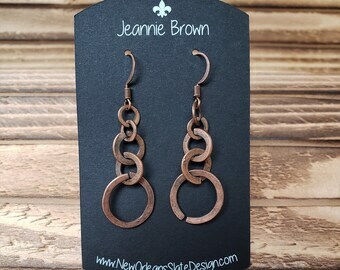 Please contact me for custom orders or any questions. A packing slip will not be included with your item unless requested. I guarantee your 100% satisfaction. If, for some reason you are not happy I will do my best to make it right.